This reinvigorated rumors surfacing in 2001 that product development and support for FrameMaker were being wound down. 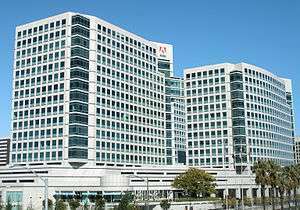 Adobe denied these rumors in 2001, later releasing FrameMaker 8 at the end of July 2007, FrameMaker 9 in 2009, FrameMaker 10 in 2011, FrameMaker 11 in 2012, FrameMaker 12 in 2014, and FrameMaker (2015 release) in June 2015. There were several major competitors in the technical publishing market, such as Arbortext, Interleaf, and Corel Ventura. Many academic users now use LaTeX, because modern editors have made that system increasingly user-friendly, and LyX allows LaTeX to be generated with little or no knowledge of LaTeX. Several formats, including DocBook XML, target authors of technical documents about computer hardware and software. Lastly, alternatives to FrameMaker for technical writing include Help authoring tools and XML editors. Released 2 June 2015. FrameMaker (2015 release) included full right-to-left language support for Hebrew and Arabic, a new PDF Maker with 32-bit and 64-bit installers, out-of-the-box multichannel, multidevice publishing, mobile app output, and many more features. ↑ Lextrait, Vincent (January 2010). "The Programming Languages Beacon, v10.0". Retrieved 2010-03-14. ↑ Nadile, Lisa. "Adobe to buy Frame, adding content apps to tools." PC Week 12.25 (1995): 3. Business Source Premier. EBSCO. Web. 6 June 2011. ↑ "Rumors Of FrameMaker's Death Have Been Greatly Exaggerated [sic]". The Mac Observer. 2001-02-09. Retrieved 2007-05-26. ↑ Michael Tsai (2007-05-01). "Old Meets New". 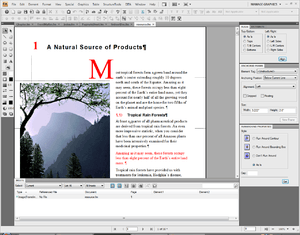 ↑ "FrameMaker 7.2 Application Packs for DITA and S1000D". Adobe. Archived from the original on 10 May 2007. Retrieved 2007-05-26. ↑ "FrameMaker10 and FrameMaker Server 10 launched today!". Adobe. Retrieved 2011-01-11. ↑ "FrameMaker 11 and FrameMaker Publishing Server 11 are here!". Adobe. Retrieved 2012-07-25. ↑ "FrameMaker 12 is here!". Adobe. Retrieved 2014-01-14.